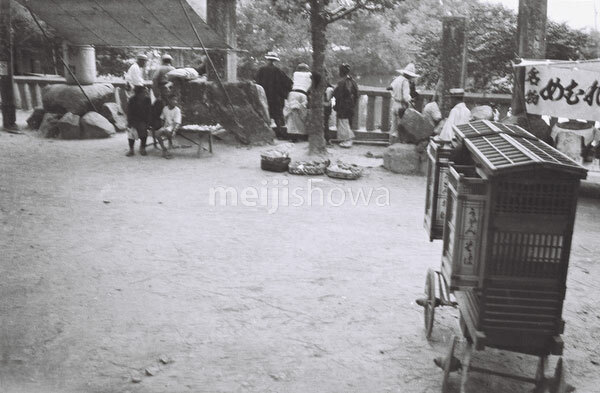 A cart for selling udon (wheat noodles) and soba (buckwheat noodles), ca. 1930s. This photograph was taken by an amateur photographer. It is not so sharp and the contrast is weak. Not recommended for enlargements over 15 cm wide.